The first three MiG-29UPG fighter jets have been delivered to India under a contract to modernise the fleet of MiG-29 aircraft in service with the Indian Air Force (IAF). 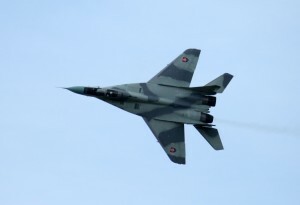 “The MiG corporation…has started deliveries of upgraded MiG-29UPG fighter jets to the Indian Air Force,” the company said in a statement on Monday. “The first three aircraft have been transported to India on board an AN-124 heavy-lift transport plane” the statement said. The IAF has awarded the MiG corporation a $900 million contract to upgrade all of its 69 operational MiG-29s. These upgrades include a new avionics kit, with the N-109 radar being replaced by a Phazatron Zhuk-M radar. The aircraft is also being equipped to enhance beyond-visual-range combat ability and for air-to-air refuelling to increase flying time. Originally designed as an air superiority fighter, the upgraded planes have been equipped with air-to-surface missiles to engage ground targets. Each of the new fighter jets have been equipped with new avionics, weapons, radar, glass cockpit, helmet-mounted displays and an inflight refuelling system. The MiG statement said that as per the contract, the plane’s service life has been extended to 3,500 flight hours and 40 years. The first six aircraft are upgraded in Russia while the remaining 63 will be refitted at the HAL facility in India. In 2007, Russia gave India’s Hindustan Aeronautics Limited (HAL) a license to manufacture 120 RD-33 series 3 turbojet engines for the upgrade. “We are getting ready to carry out the work on the second part of the contract, which stipulates the modernisation of the [MiG-29] aircraft in India in close cooperation with the Indian defense industry,” the MiG press service said.